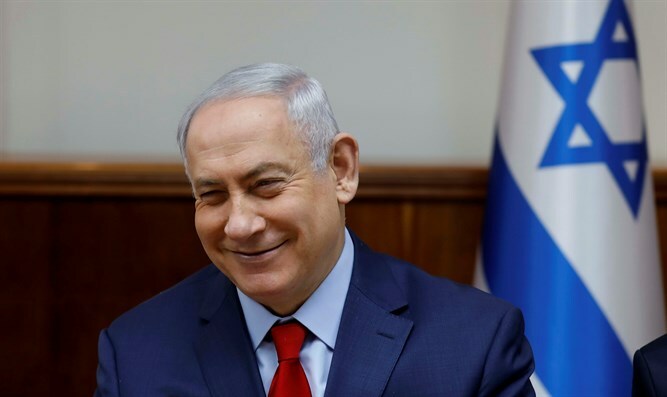 Israeli Prime Minister Binyamin Netnayahu on Thursday morning spoke about US President Donald Trump's recognition of the fact that Jerusalem is Israel's capital city. Speaking at the Foreign Ministry's second Conference on Digital Diplomacy, Netanyahu said, "We were all excited last night to hear President Trump's historical announcement recognizing Jerusalem as Israel's capital. This announcement, obviously, is based on ancient rights." "The Jewish people made Jerusalem their capital 3,000 years ago. This is where our forefathers walked, this is where our kings ruled, this is where our prophets prophesied. This is where our roots are buried. "This is, in essence, our identity card. President Trump has tied himself for eternity to Jerusalem's history. His name will appear now with the other names connected to the magnificent history of Jerusalem and the Jewish nation. I would like to thank him, and I would like to than the US Congress, who 22 years ago anchored this recognition [in law] until the President came and implemented it. "I would like to take this opportunity to say that we are already holding talks with other countries, who will make a similar recognition. I have no doubt that as soon as the US Embassy moves to Jerusalem, and even before then, many other embassies will also move to Jerusalem. It's time."